Some may say that this is taking “luxury jet” too far. Is it? After all, no one could say that an airplane with a balcony is not innovative and outright ingenious. 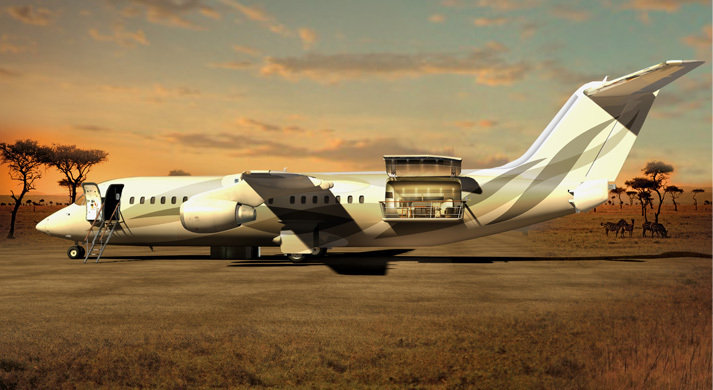 BAE Systems has taken private planes on a higher plane (no pun intended) with the introduction of their concept for the Avro Business Jet (ABJ) Explorer One. 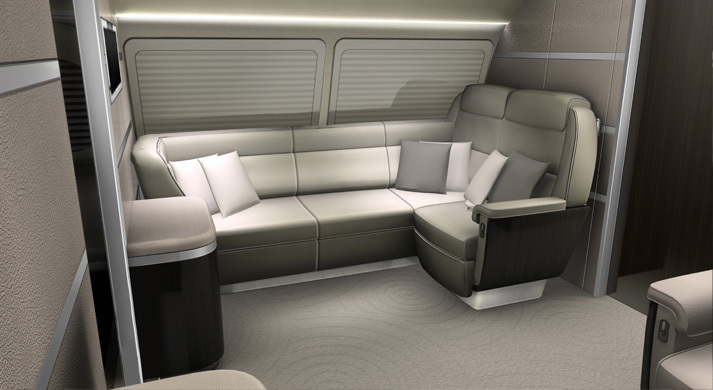 In collaboration with Design Q, a UK-based company that specializes in coming up with designs for luxury transport solutions, BAE Systems is now stressing on the “V” aspect of “VIP flying”, as evidenced by the ultra-posh and ultra-comfortable interiors of the Explorer. The Explorer One’s “air deck”. One look at the ABJ Explorer One and you can immediately tell it stands out and is certainly unique. Yes, that is a balcony you can see from the photo above. 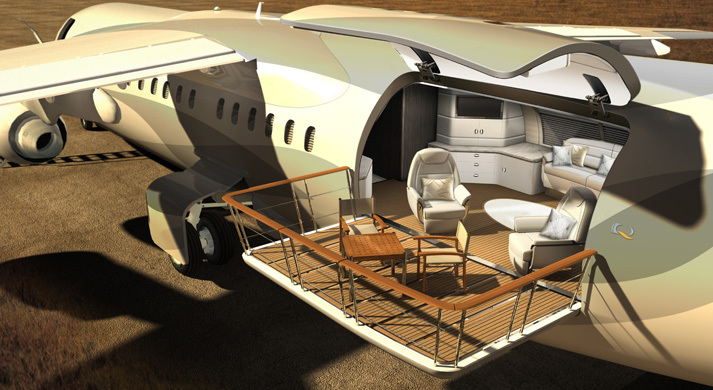 Albeit a foldout one, the Explorer One’s balcony – or “air deck”, as some call it – has elevated the luxury and comfort levels that this private plane has to offer. Something resembling a wide freight door at the rear of the aircraft folds out into this balcony. With a drink in one hand, sit back and enjoy the view. 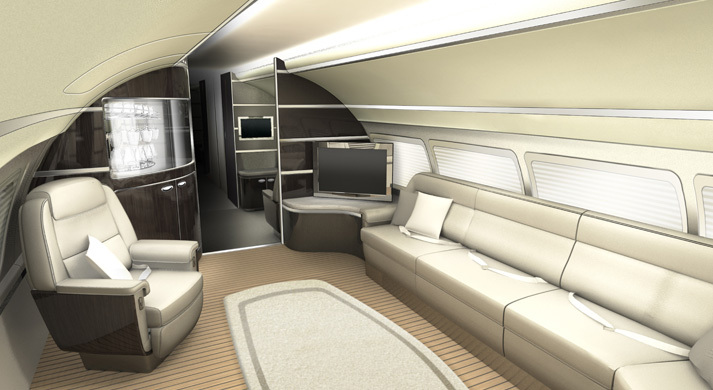 Luxurious executive interiors are to be expected from private jets, and the ABJ Explorer One is no different. With an entry way made from marble and plush seats, this sure beats the experience of sitting in your living room at home. The more than ample lighting makes for a comfortable and work-conducive environment, perfect for businessmen who are taking their negotiations to the air. 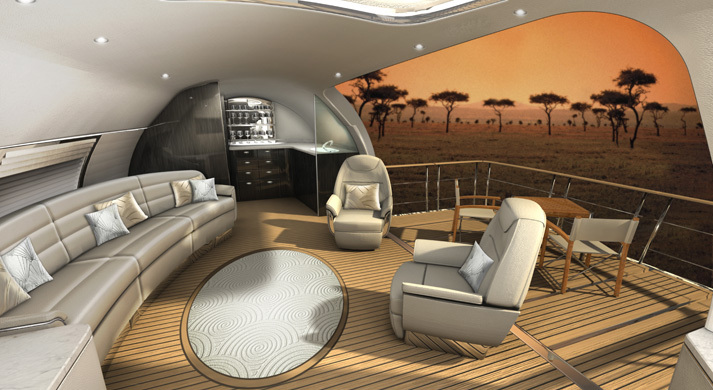 The ABJ Explorer one also boasts a wide and spacious open plan galley, with a long table that could serve as both a dining table and a conference table. A state-of-the-art in-flight entertainment system seamlessly blends with the overall design of the interior. 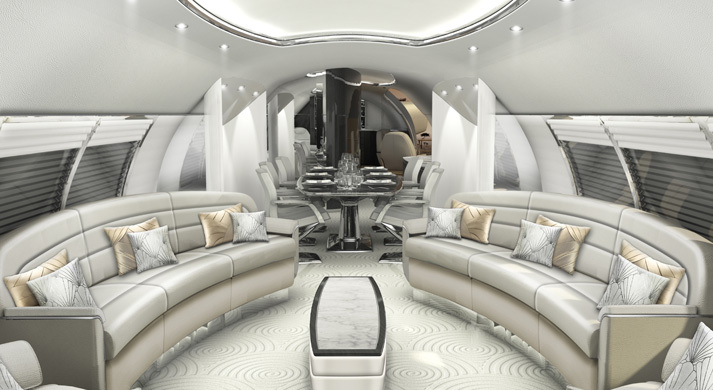 Of course, a luxury jet would not be complete if it would not provide alcoves where one can rest weary eyes and tired limbs. 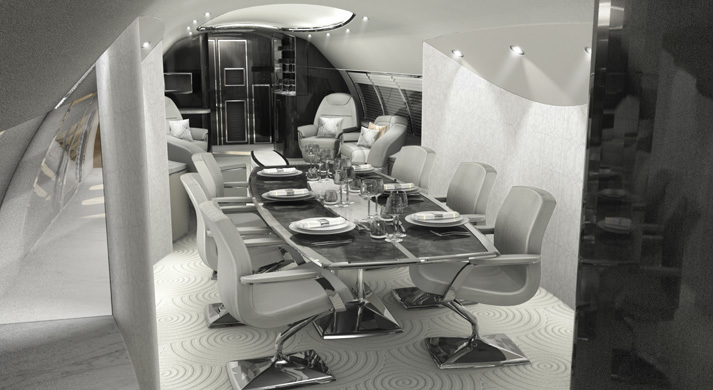 First unveiled at the EBACE 2010, take note that the ABJ Explorer One concept is only the first among five concepts that Design Q has committed to developing for the BAE Systems Regional Aircraft. 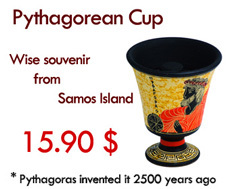 Aviation is flying high, and that makes one wonder: what else can the creative minds come up with?